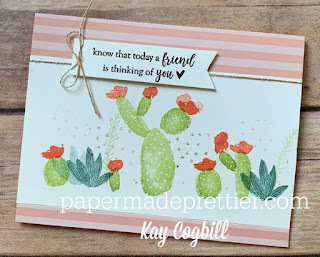 Who would have thought a cactus could make a sweet and loving card? Color me surprised, because this prickly Flowering Desert stamp set is adorable! 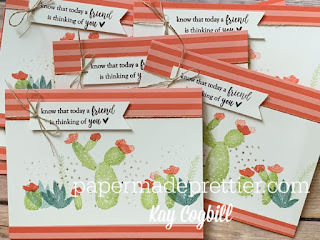 The sentiment comes from a FREE Saleabration set called Part Of My Story and it holds a special place in my heart. 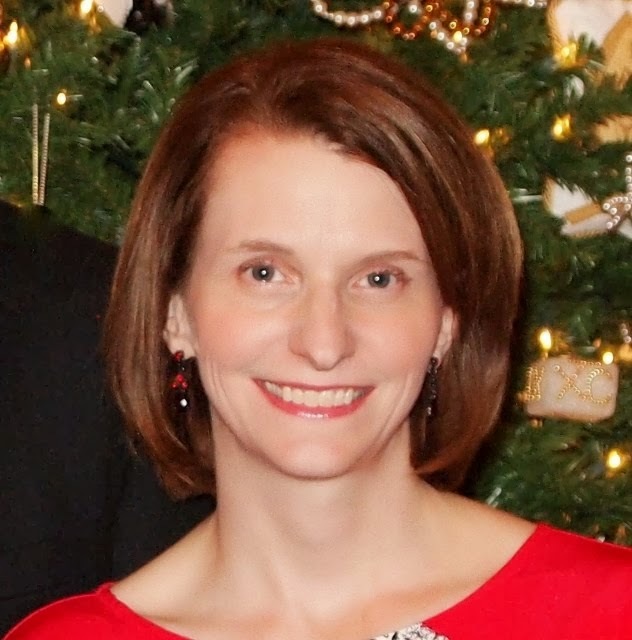 I was asked to be on the first Demonstrator Story Team this past summer. 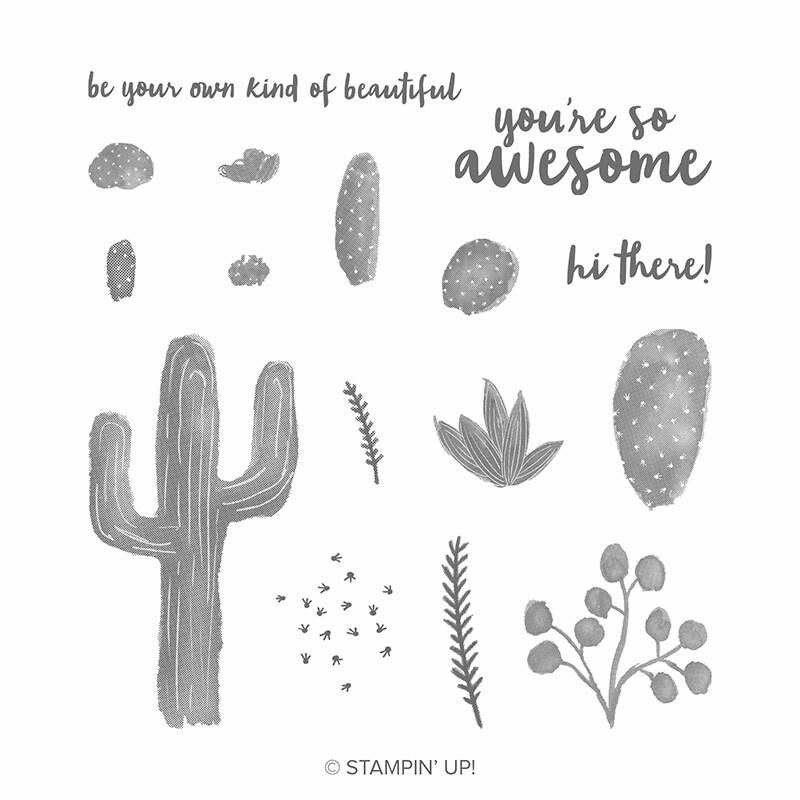 Stampin' Up whisked me right out of a hot August week into a gorgeous retreat center in Lehi, Utah for four glorious days of fun. I met 10 of my now-closest stamping friends! Stampin' Up video-taped our Stampin' Up stories to show at our 30th Anniversary celebration at OnStage Live in Orlando. It was an experience I will never forget! 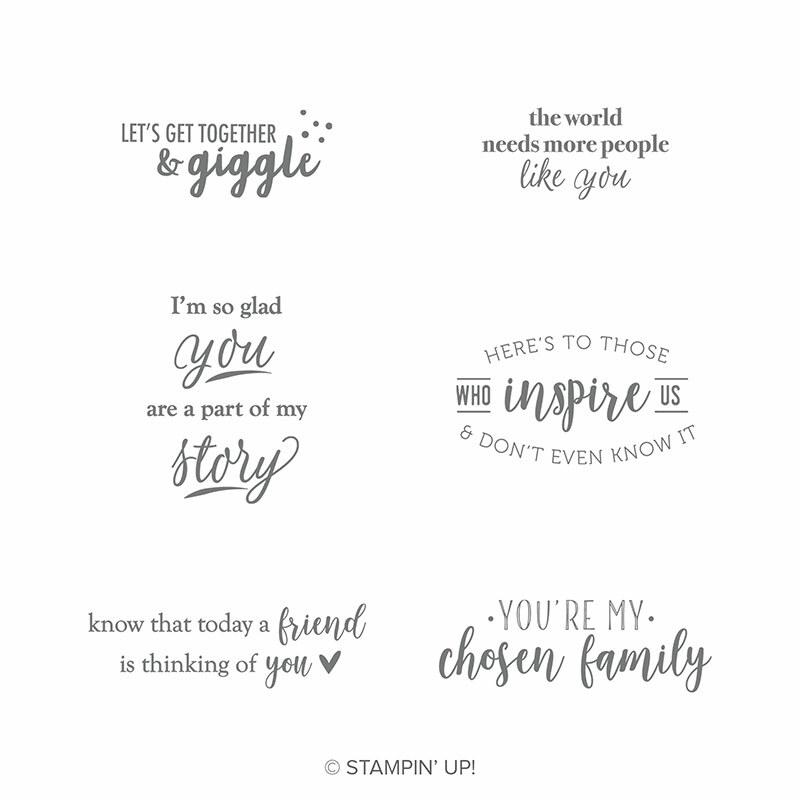 Part Of My Story stamp set is FREE with $50 purchase and watch for a coordinating punch soon! 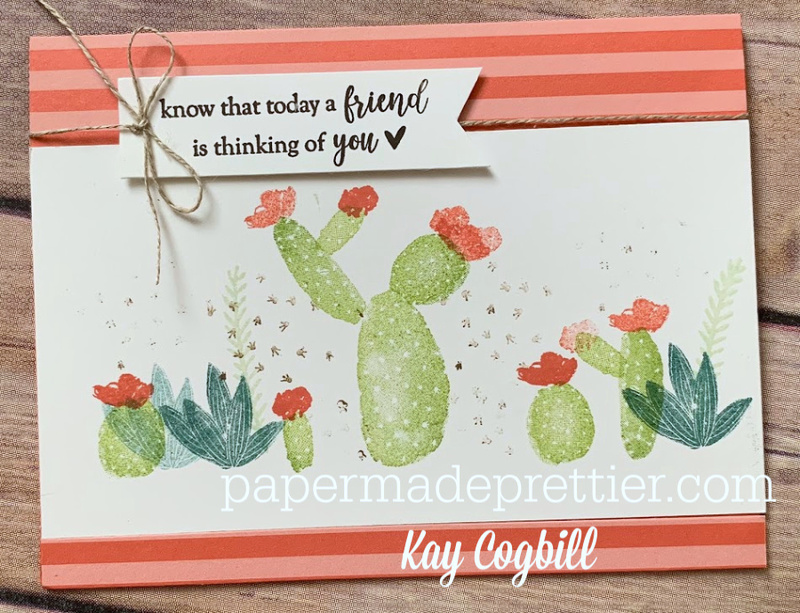 I cased this card the 2019 Occasions Catalog for a swap that I participated in. 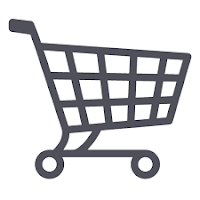 Wondering where that striped paper comes from? 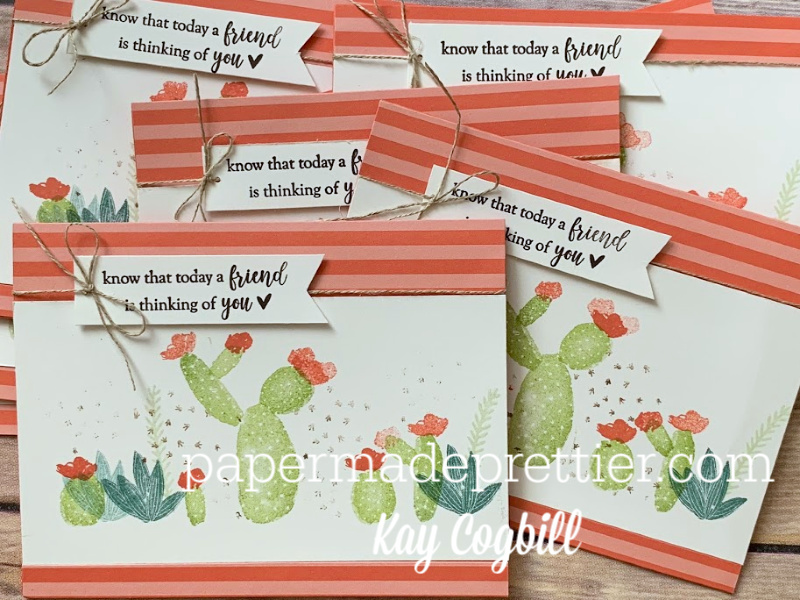 The subtles designer series paper stack! I ran out of calypso coral so I tried a blushing bride one. It's cute, but I think I like the coral the best. Which is your favorite? 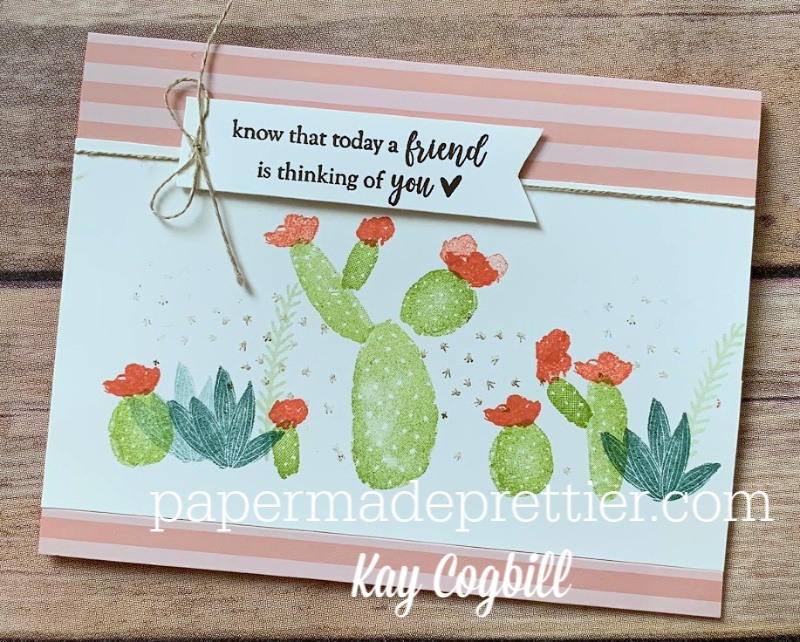 Purchase all supplies to make this project below. 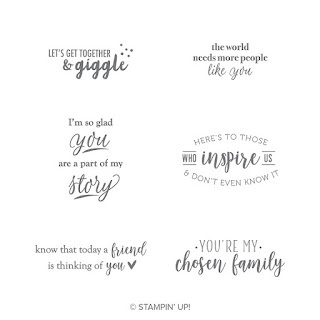 Make sure and pick up $50 to get the FREE Part of My Story stamp set. 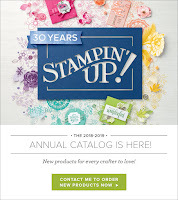 Or....Start your Stampin' Up story today and get the starter kit of $175 in goodies for only $99!